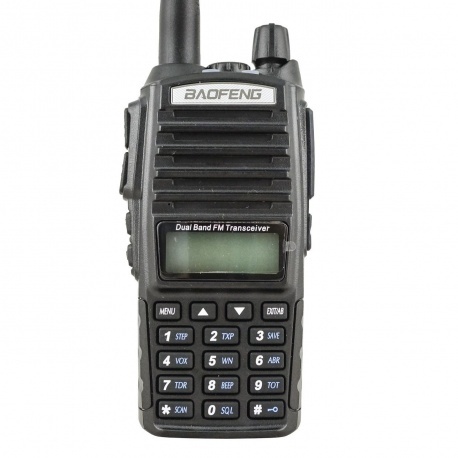 Genuine Baofeng UV-82 and dual-band VHF/UHF walkie-talkie FM, that receive and transmit from 136 to 174MHz and 400 to 520MHz with 5 watts VHF 144 Mhz and 4W in UHF 430 Mhz, battery 2800 mAh, FM radio, LED lamp, double PTT button and allows receiving of 2 channels on differents bands (semi-duplex). We propose the new version of the UV-82 with the two distinct PTT buttons, better sensitivity and more stable in frequency. 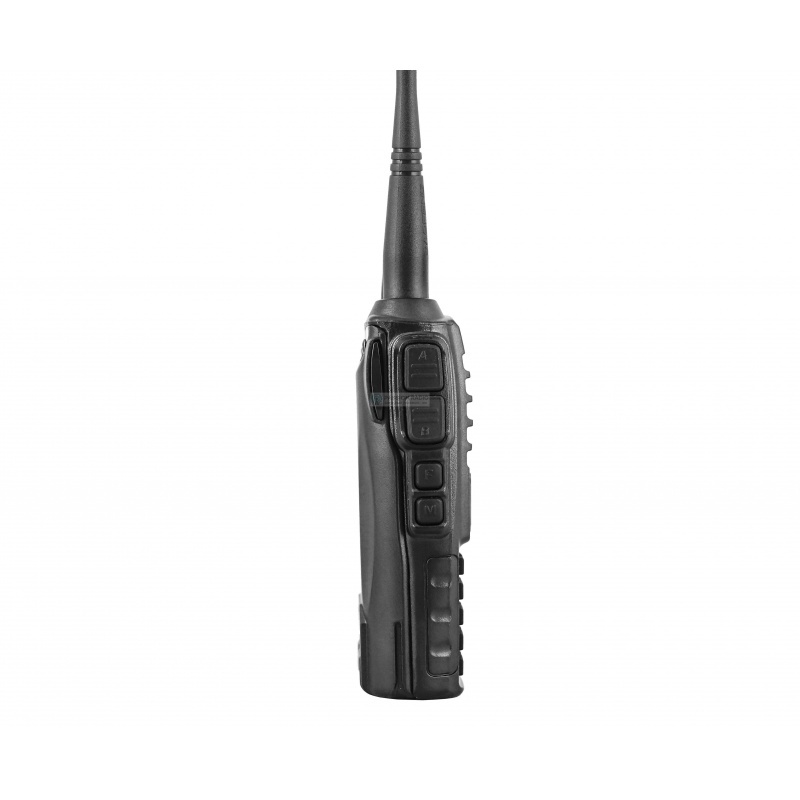 The UV-82 comes with a large antenna (18cm) and a battery with 2800 mAh and 2 years warranty by Passion Radio Shop. It has a powerful 1 watt speaker, a robust housing with bigger buttons for use with gloves. UV-82 is recommended for everyday use. Comes complete with: New UV-82 genuine, desktop charger sector, belt clip, dual band antenna, 2800mAh battery, strap, micro-headset and manual in English. To further improve performance and reception and transmit range, replace the original antenna with a Diamond SRJ77CA (40cm), Nagoya NA-771 or NA-24J (40cm) antenna. 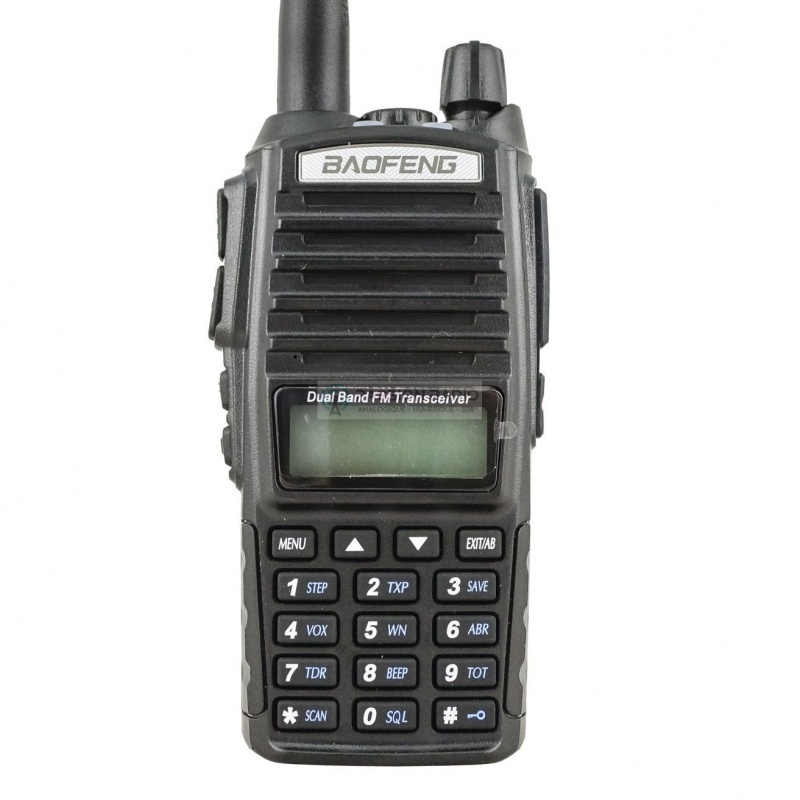 Description: Genuine Baofeng UV-82 and dual-band VHF/UHF walkie-talkie FM, that receive and transmit from 136 to 174MHz and 400 to 520MHz with 5 watts VHF 144 Mhz and 4W in UHF 430 Mhz , battery 2800 mAh , FM radio, LED lamp, double PTT button and allows receiving of 2 channels on differents bands (semi-duplex). We propose the new version of the UV-82 with the two distinct PTT buttons, better sensitivity and more stable in frequency. 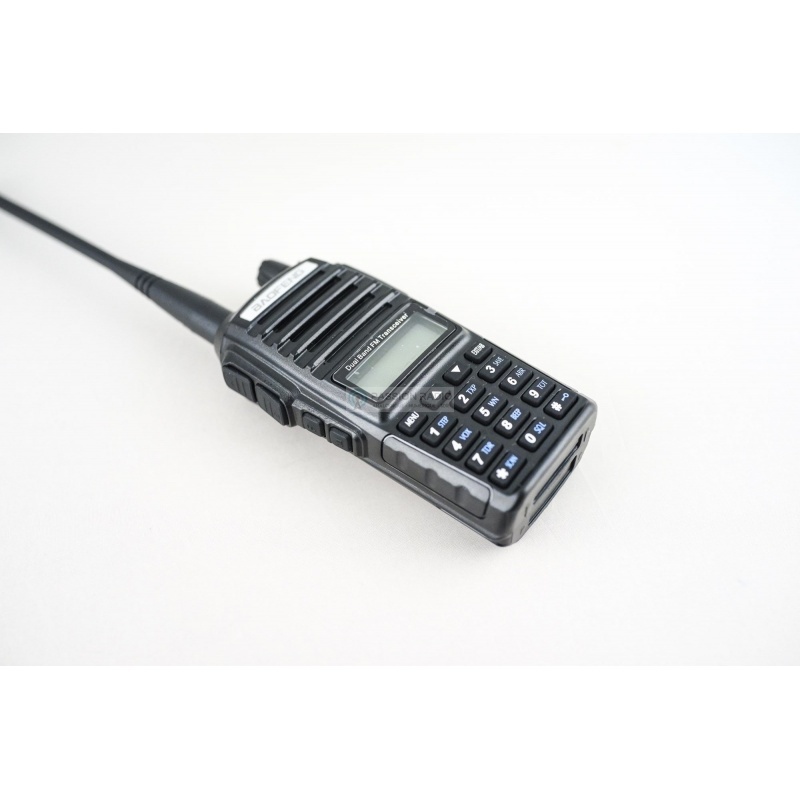 The UV-82 comes with a large antenna (18cm) and a battery with 2800 mAh and 2 years warranty by Passion Radio Shop . It has a powerful 1 watt speaker , a robust housing with bigger buttons for use with gloves. UV-82 is recommended for everyday use. Comes complete with: New UV-82 genuine, desktop charger sector, belt clip, dual band antenna, 2800mAh battery, strap, micro-headset and manual in English. To further improve performance and reception and transmit range, replace the original antenna with a Diamond SRJ77CA (40cm), Nagoya NA-771 or NA-24J (40cm) antenna.